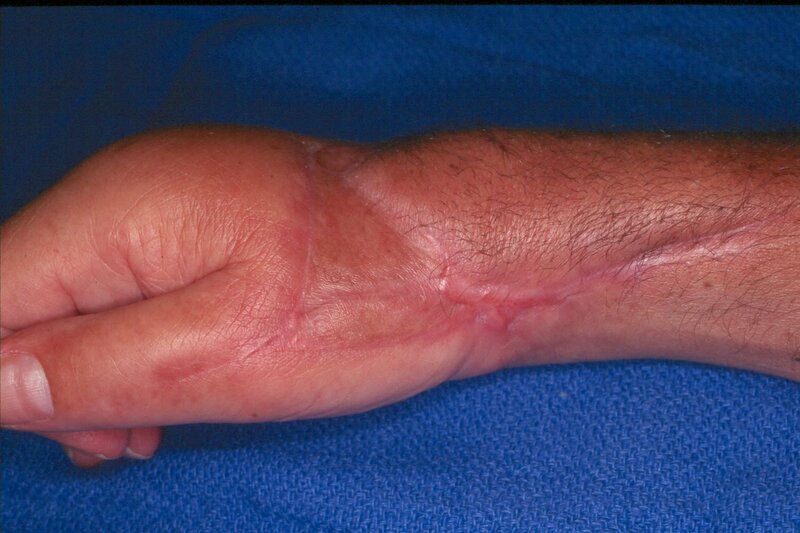 Patients requiring long term dialysis for renal failure acquire several problems predisposing to serious hand infection: immune deficiency, calcific vasculitis and upper extremity vascular access procedures, which may reduce distal perfusion. 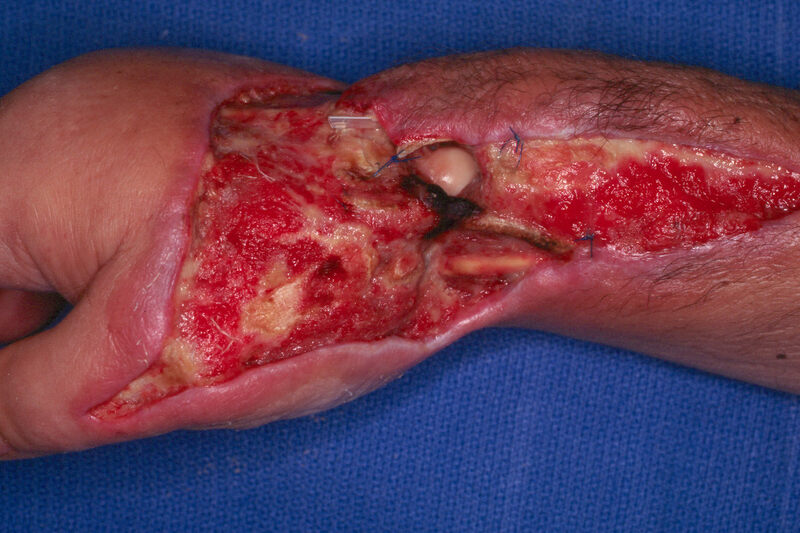 Options for treatment are limited by the presence of regional vascular disease, as in this patient. 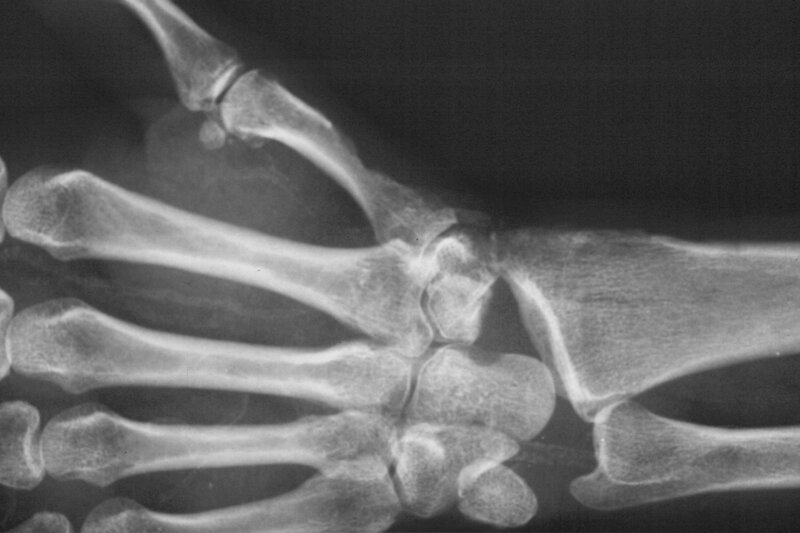 Appearance of the wrist and thumb after multiple debridements for progressive infected wound necrosis following failed radiocephalic shunt construction. 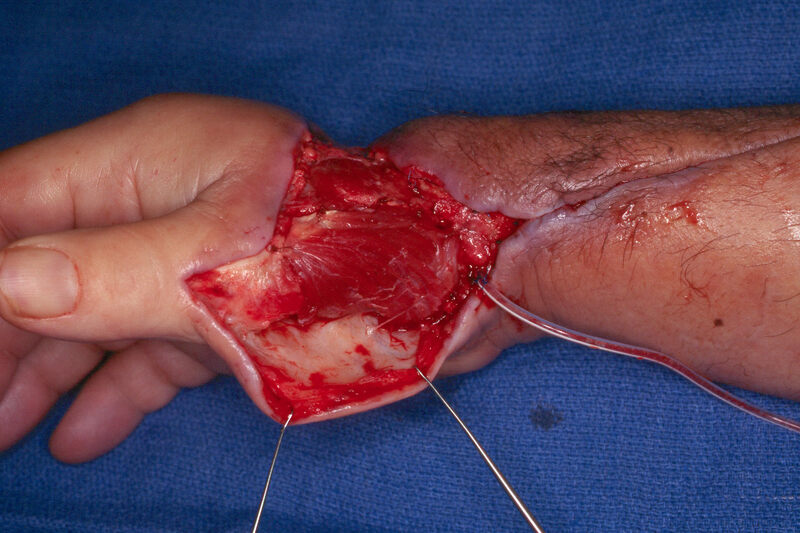 The radial artery has been ligated. 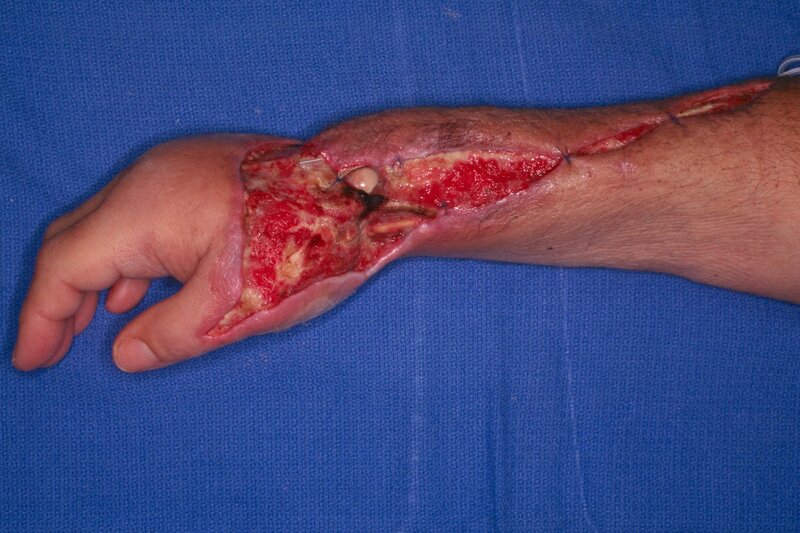 This allowed full closure with skin graft, which healed uneventfully.